Dubai: Landlords in Dubai aren’t just open to accepting multiple cheques and reducing lease rates, they are also offering rent-free periods just to attract tenants. Despite claims that the property sector is bottoming out or showing signs of recovery, overall rents across the emirate are still on decline. A slowdown in hiring and a sustained rise in the number of new apartments and villas continue to impact demand, prompting landlords to sweeten the deal. With fewer jobs, there are fewer people with money to pay for rent. Compounding the decline in demand is the increase in supply of new properties. Just this year alone, some 30,000 units are expected to be turned over to investors. So far, about a tenth of the number has already been delivered. As a result, according to Propertyfinder Group’s UAE Real Estate Trends 2017 report, Dubai residents have gained more negotiating power when it comes to dealing with landlords. A quick look at various property listings in Dubai shows owners enticing potential tenants with “free” rents, especially for flats that have recently been delivered. “Brand new, one-month free [rent], with appliances,” reads one listing. Landlords are also resorting to other concessions, such as reducing rents for existing tenants, accepting multiple cheques and paying broker commissions. Owners have no other recourse, considering that they stand to lose money if their property stays empty even for just one month. “Considering a one-month vacancy period equates to a loss of 8.3 per cent, which typically is close to, if not more than, the yield that most properties produce annually, concessions like these are not only smart business for the investor, but a win-win for all parties regardless of the market,” wrote Zhann Jochinke, chief executive officer, Keller Williams Real Estate. Propertyfinder’s research among the nearly 24,500 Dubai apartments and villas advertised for rent showed that just about one in six specify the number of cheques required. Out of those that do, 1,842 listings state that tenants can pay in four cheques. “The current market has seen some power returning to tenants – they can start to dictate more favourable terms and the amount of cheques is often one of those negotiation points,” said Lukman Hajje, chief commercial officer of Propertyfinder Group. 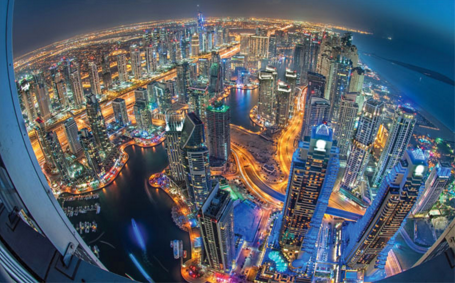 According to the latest report from Reidin, Dubai’s rental market fell 4.57 per cent year-on-year in May due to a sharp decline in values in both apartments and villas compared to a year earlier. Rents have declined in various locations, including in areas close to the Metro. Apartment rents dipped by 0.30 per cent in May compared to a month earlier and by 4.22 per cent compared to the same period last year. Rents for villas showed a slight uptick, rising by 0.32 per cent month-on-month, but still down by 6.5 per cent year-on-year. Propertyfinder’s review of the property sales prices and rental values of apartments in 23 neighbourhoods across Dubai covering the six-month period from September 2016 to March 2017 also showed that rates did continue to weaken. “There are a number of elements at play: high levels of construction in the lead up to 2020 increasing supply and competition for buyers and renters; a new reality of oil prices at $50 per barrel; a historically low GBP and Euro encouraging British and European owners to liquidate their UAE property holdings to realise currency profits,” Hajje said. And it looks like the situation will remain the same for the rest of the year, unless more jobs come in and more expats move to Dubai. “Until job numbers, population growth and economic growth enter their next positive phase, which we anticipate seeing in mid-to-late 2018 in response to spending from both government and private sector in the lead up to Expo2020, expect to see further weakening of the rental market,” noted Jochinke.